Clever and quirky with a minimalist design, the Shaker Pen from the Italian company PARAFERNALIA is an everyday essential with a luxury twist. 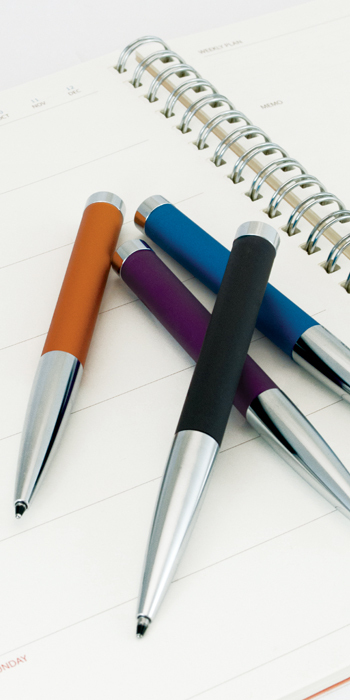 Each ballpoint pen is crafted from anodized aluminum and chrome-plated brass, featuring a sleek chrome and color barrel. Innovative and pocket sized, you’ll find the Shaker Pen is the perfect weight for all-day carry and comfortable enough for continuous writing. Characterized by its shake technology, this pen is ready to write at a moment’s notice. With a brief wrist movement the writing tip is revealed. Simply repeat the same motion and the refill disappears into the barrel. The Shaker Pen is a fun and unique writing instrument for beginner pen enthusiasts to professionals alike. Choose from numerous colors to brighten up your collection.